The Deluxe Wall Cue Rack is a great way to keep your game room neat and organized. This rack can hang on your wall and is perfect for the player that is short on floor space . It holds 8 cues, 1 set of pool balls, and most other pool accessories. 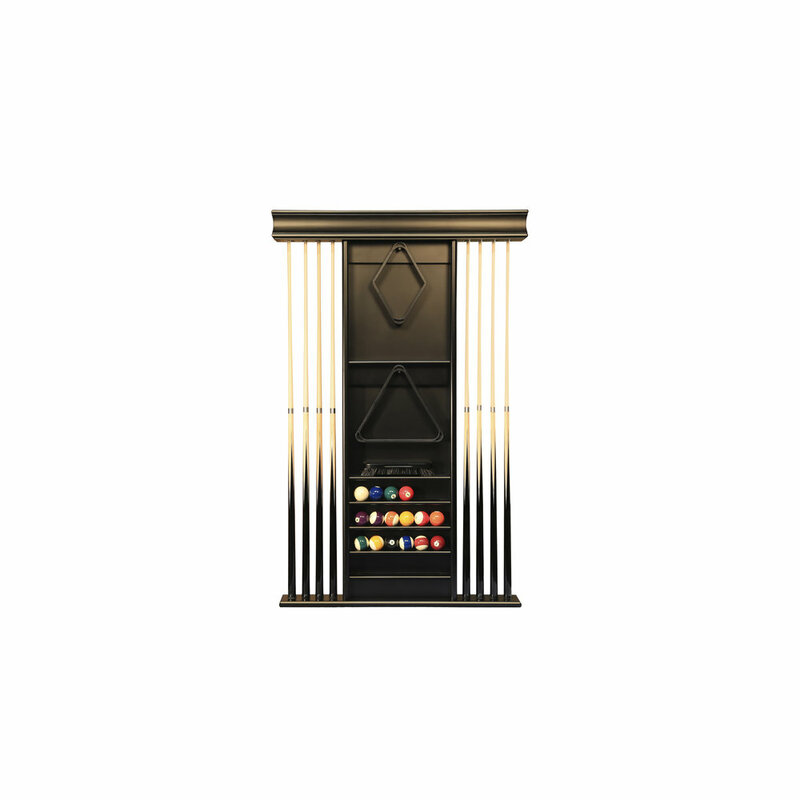 Available in 4 finishes, this rack will match the decor of any game room. Give your game room a professional touch with the Deluxe Wall Pool Cue Rack.